Texas Department of Motor Vehicles drivers can find out how to complete all their driving and car-related procedures on DMV.com. Our website includes compiled information on how to get drivers licenses and car registrations, among the many other TX DMV-related services. Drivers looking for further assistance on other driver-related matters, such as how to pay traffic tickets or how to complete drivers education in their area, can read how-to documents on DMV.com’s education center. Skip a trip to the DMV in Texas as we offer services to obtain a TX DMV driving record, a bill of sale and auto insurance. A full list of resources that we provide is listed below for your reference. Discover drivers license services provided by the TX DPS. Obtaining a DPS drivers license is necessary for Texas residents to drive legally. Ordering Texas driving records online is the fastest way to get your driving history. Easily order a TX DMV driving record from home today. Find low cost auto insurance in Texas at our online car insurance center. Car insurance is required by the DPS for cars registered in TX. Completing a TX defensive driving course online allows you to dismiss a ticket. Enroll in DMV-approved TX online traffic school today. Begin a DMV driving practice test to gauge your knowledge of TX driving laws. Taking a Texas DMV practice exam can help you earn a license. Easily complete Texas car registration renewal from home. Renewing vehicle registration documents online lets you avoid a trip to the DMV. Drivers ed classes are required by the DPS for some first-time Texas drivers. Enroll in online drivers ed to complete a course from home. A DMV bill of sale documents a transfer of ownership when you buy or sell a car. Find out how to get a Texas car bill of sale at the DMV. Unpaid TX traffic tickets can lead to additional penalties from the DPS. Learn how to pay a ticket online in Texas quickly and easily. Texas DUI consequences include suspension, fines and jail time. Get more TX DUI information and learn about DWI laws enforced by the DMV. Buying a car online can expedite TX DMV new car registration requirements. Before you buy a car in Texas, consult these online resources. Fortunately, TX DPS offices are available throughout Texas. Locate a Texas DPS location in your area where you can get DPS services. Cut out DMV and DPS bureaucracy. DMV.com has easy guides for drivers license, vehicle registration, license plate, emissions and other motor vehicle issues online. Welcome to our guide to the Texas Division of Motor Vehicles and Department of Public Safety. If you’re looking for a fast way to discover the facts you need regarding the TX DMV and DPS, you’ve come to the right place! Because DMV.com is a privately owned website that’s not affiliated with any government agency, we’re not stuck in government bureaucracy. At DMV.com you’ll find what you need on the Texas DMV or DPS in a way that’s simple to understand, with instructions that are easy to remember. There are different government departments in Texas that deal with various issues when it comes to driving. The Department of Motor Vehicles is responsible for ‘vehicle’ type issues that come up such as vehicle registration and titling. Regional DMV offices administrate the local County Tax Offices that deal with these issues in person. The Department of Public safety is in charge of drivers licensing and the testing that goes along with that. If you’re in search of the most up-to-date facts on any matter regarding the Texas DMV or DPS you should check out our vast array of articles. We have articles to break it all down for you when it comes to the specifics at the TX DMV and DPS, from car driving and ownership, the steps to getting your Texas driver’s license, to vehicle registration and auto insurance. Navigating around DMV.com is easy. You can use the “search” feature or the navigation sections to help you find exactly what you are looking for about the TX DMV and DPS. If you just bought your car then you’ll need to check out our articles on vehicle registration and obtaining a driver’s license. Auto insurance is another important topic we cover in our article base and they are focused on finding you the best rates for your car. There are also pages devoted to the step-by-step process you must complete to renew your driver’s license at the Texas DPS. 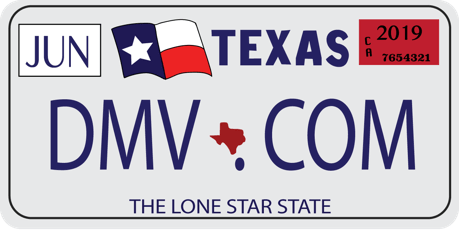 Also, don’t forget to read up on any special requirements for vehicle registration at the TX DMV if you’re driving a motorcycle or own a boat. This site is already full of lots of helpful facts about each state’s DMV and we encourage our readers to lend us a hand by contributing to the site with their article submissions or edits. With your help, we’ll be better able to offer the most up-to-date information on the Texas DMV and DPS.